Single mode optical fiber is designed as a carrier for the transmission of a single mode of light to propagate at a time. Its specifications are divided into two categories, One is the ITU-T G.65x series, and the other is IEC 60793-2-50 (published as BS EN 60793-2-50). Rather than referring to both ITU-T and IEC terminologies, we’ ll only focus on the simpler ITU-T G.65x in this article. There are 6 different single-mode fiber types defined by the ITU-T: G.652, G.653, G.654, G.655, G.656, and G.657, among which G.652 and G.655 are two options commonly used. So what’ s the difference between G.652 and G.655? What is G.652 Single Mode Fiber? G.652 single-mode fiber, also known as standard single fiber, is the most commonly deployed single mode fiber. It has G.652A, B, C, and D four variants. The G.652.A and G.652.B are designed to have a zero-dispersion wavelength near 1310 nm, therefore they are optimized for operation in the 1310nm band. 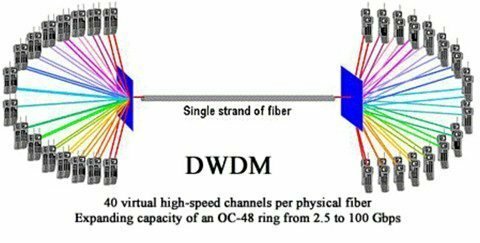 However, they are not suitable for applications in Wavelength Division Multiplexing (WDM) due to the water peak. 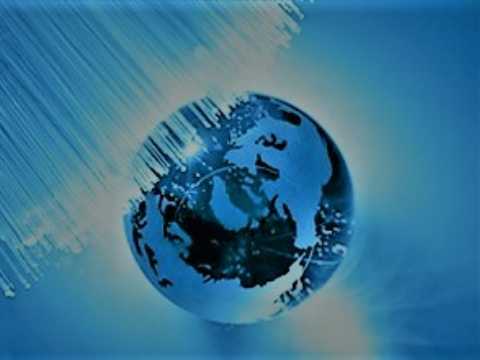 The more advanced variants G.652.C and G.652.D fibers are optimized with a reduced water peak for spectrum operation, which allows them to be utilized in the wavelength region between 1310 nm and 1550 nm to support Coarse Wavelength Division Multiplexed (CWDM) transmission. What is G.655 Single Mode Fiber? 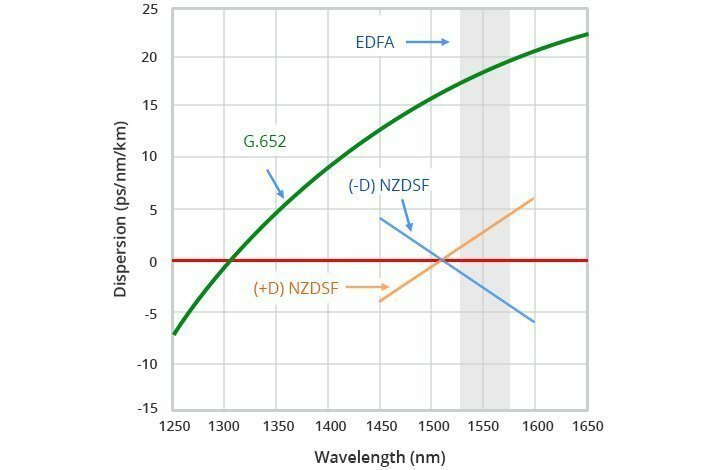 G.655 single-mode fiber is also called non zero dispersion-shifted fiber (NZDSF) because the dispersion at the wavelength of 1550 nm is close to zero but not zero. It contains 655 A, B and C three variants. G.655 fiber optic cable has a small, controlled amount of chromatic dispersion in the C-band (1530-1560 nm), where amplifiers work best, and has a larger core area than G.652 fiber. Besides, there are two types of NZDSF: (-D)NZDSF and (+D)NZDSF. They have respectively a negative and positive slope versus wavelength. The positive dispersion of G.655 can suppress four-wave mixing and other nonlinear effects. Hence G.655 single-mode fiber distance is long and transmission capacity is high, it is suitable for DWDM transmission. 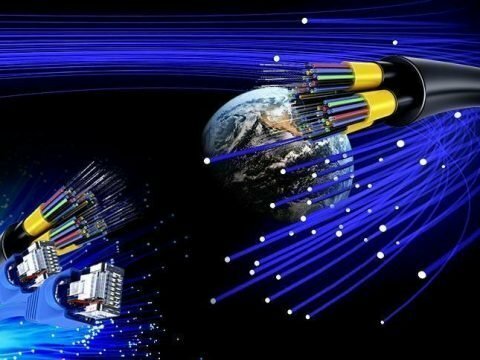 G.652 vs G.655 Single-Mode Fiber: What Is the Difference? G.652 and G.655 differ in several specifications, for example, wavelength, dispersion, the parameter of attenuation and PMD, division and so on. 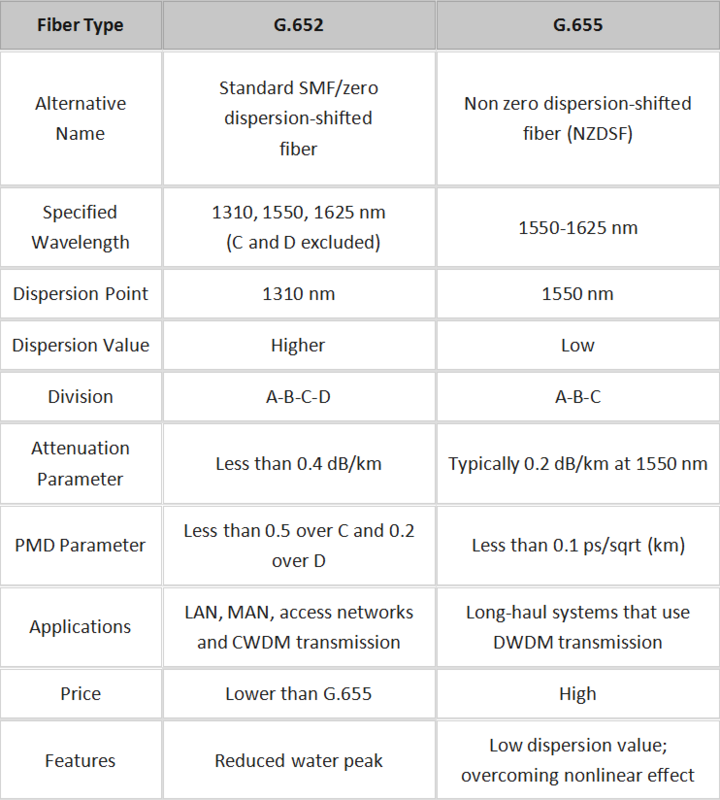 Unlike G.652 which has a zero-dispersion wavelength at 1310 nm and reduced water peak to support CWDM, G.655 fiber is a non-zero dispersion-shifted fiber with the characteristics of elimination of FWM and low dispersion value, applied to DWDM. When it comes to the fiber optic cable price, G.652 is lower than G.655. Besides, there are other detailed differences between G.652 and G.655 in the following table. This article gave an explanation of two categories of single-mode fiber types and made a comparison between G.652 and G.655. If you need the transmission with not very high rate and long distance, G.652. D is recommended. If you need the DWDM system that requires much higher capacity and long distance, then G655 fiber could be the best choice regardless of much higher cost.